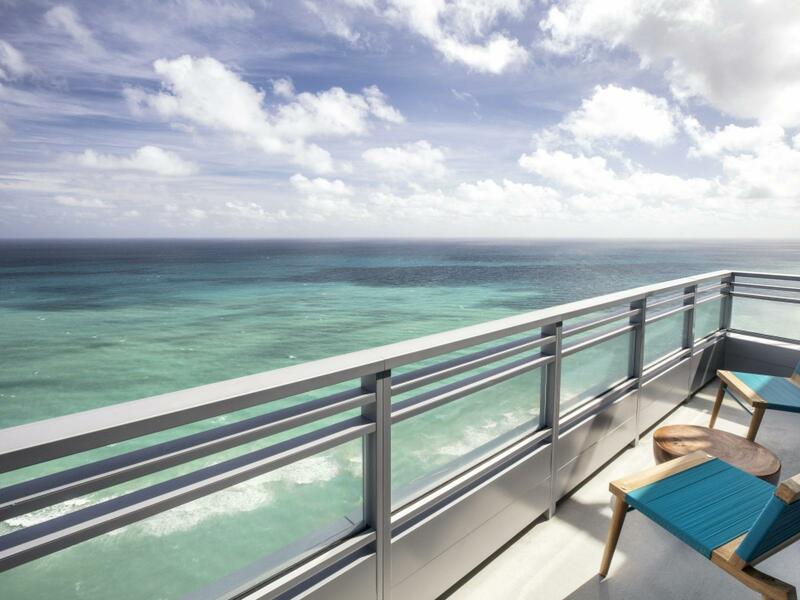 Rising 39 floors above a slender stretch of beach tucked between the Atlantic Ocean and Intracoastal Waterway, the 1,000 rooms and suites at The Diplomat Beach Resort, A Curio Collection by Hilton™, are designed to be comfortable retreats with sleek, sophisticated designs, contemporary furnishings and amenities and floor-to-ceiling windows with stunning views of the ocean, Intracoastal Waterway or Hollywood, Florida skyline. 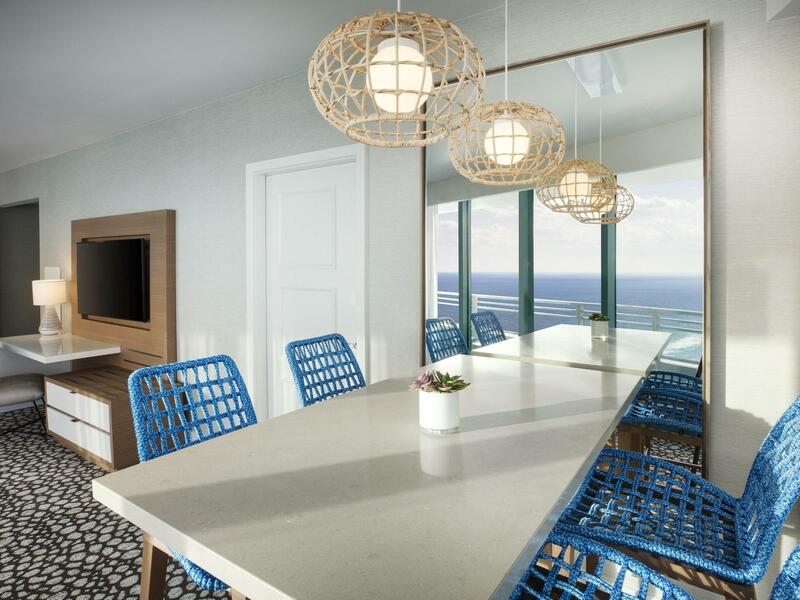 With magnificent floor-to-ceiling windows, this oceanfront corner suite offers a private balcony and a spacious apartment style layout. This room hosts a separate living lounge area with sleep sofa and vista-rich dining area, allowing a relaxed environment to invite company over. 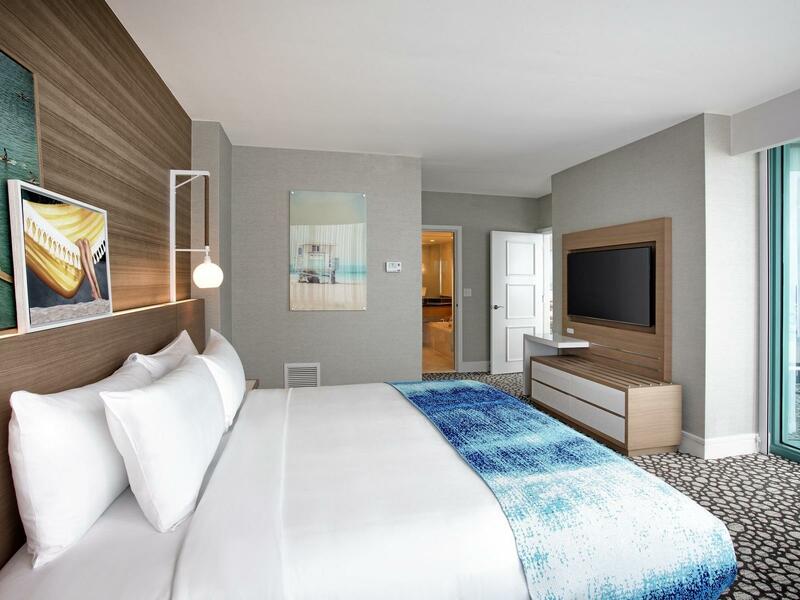 The king-sized bedroom offers its own sanctuary, with plush bedding, nautical accents, a 55" HDTV with Google Chromecast , the quietude of a closed-off retreat-within-a-retreat. This king-sized bedroom offers mobility and hearing accessible room features with a visual alarm and notification devices for the doorbell or door knock and a 55" HDTV with Google Chromecast . 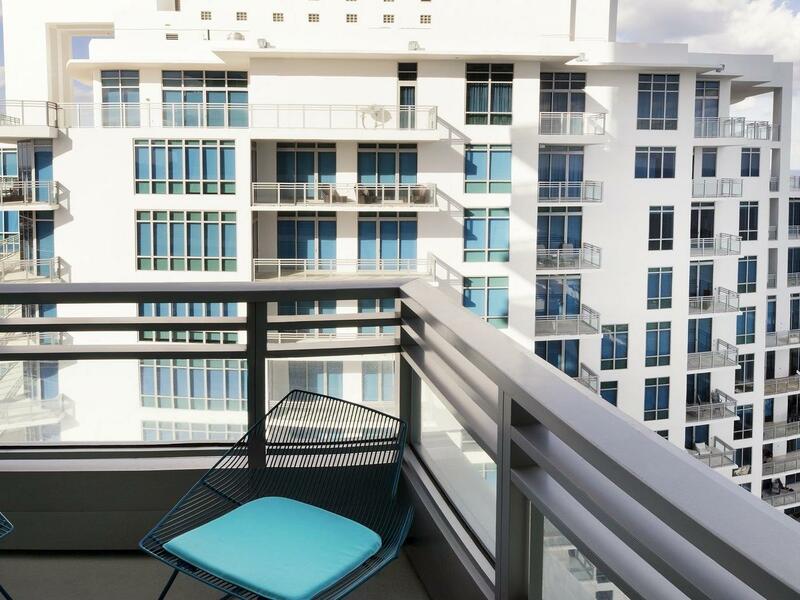 Magnificent oversized windows offer beautiful city views overlooking the intracoastal waterway. 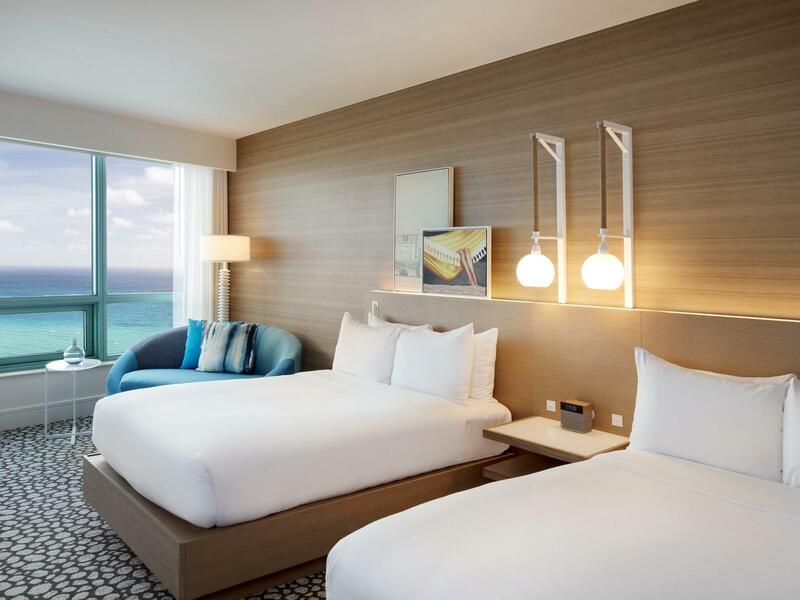 This room exudes a fresh and airy vibe bringing the beach and relaxed ambience to its guest. 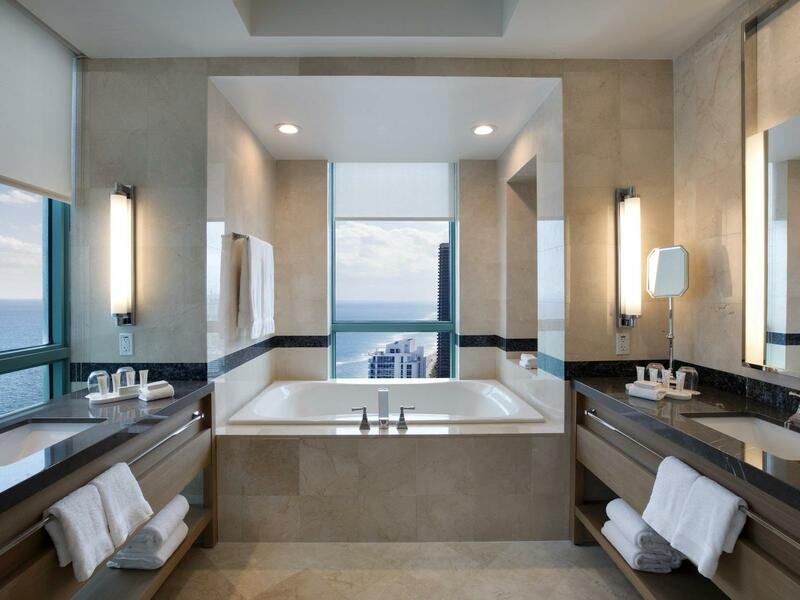 A relaxing bath with a deep-soaking tub allows you to take in the city views and offers a separate glass enclosed shower accessorized with C.O. Bigelow bath amenities. Indulge in ocean views of the Atlantic surf and airy feeling of coastal style in this king bedroom retreat. The king bed room is appointed with a gracious lounge area, a 55'' HDTV with Google Chromecast and work space. A relaxing bath with a deep-soaking tub allows you to bask in the sunset, but also offering a separate glass enclosed shower accessorized with C.O. Bigelow bath amenities. Fine touches like vintage-inspired art, and plush bedding provide an exceptional mix of comfort and sophistication. 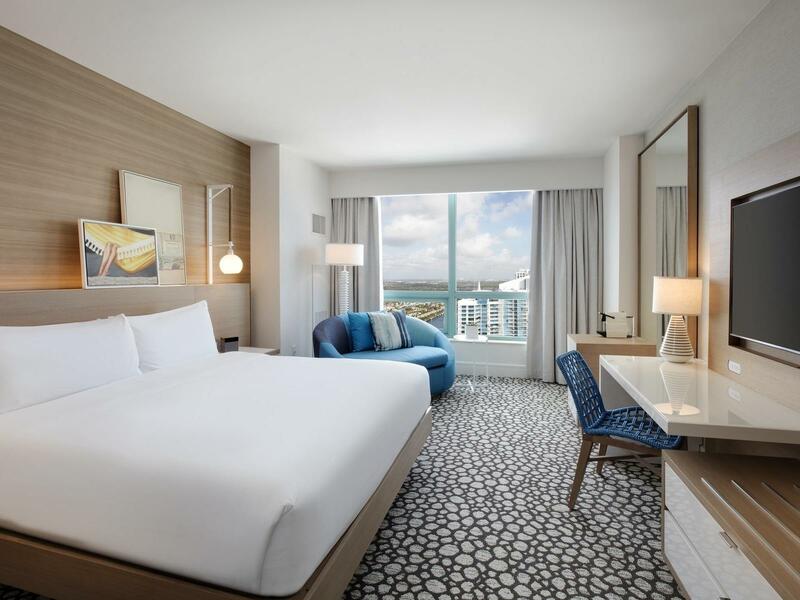 With magnificent floor-to-ceiling views across the Intracoastal Waterway to a panorama of city and sky, your King bedroom echoes the refreshing, airy feeling of coastal style. This king bedroom is appointed with a gracious lounge area, a 55'' HDTV with Google Chromecast and a work space. A relaxing bath with a deep-soaking tub allows you to bask in the sunset, but also offering a separate glass enclosed shower accessorized with C.O. Bigelow bath amenities. 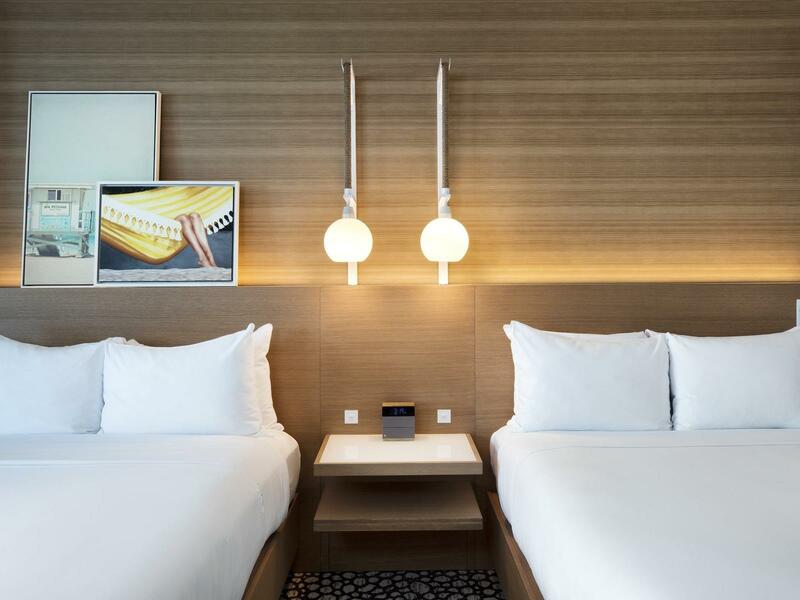 Fine touches like vintage-inspired art, and plush bedding provide an exceptional mix of comfort and sophistication. 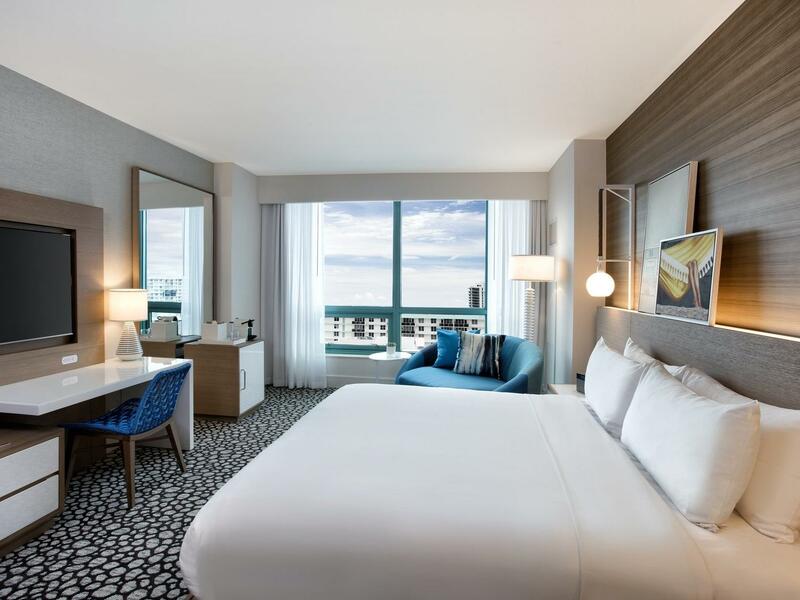 This spacious king bed room with city views and a wrap around balcony, is the ultimate retreat with a gracious lounge area, a 55'' HDTV with Google Chromecast and a work space. A relaxing tub allows you to bask in the sunset, but also offering a separate glass enclosed shower accessorized with C.O. Bigelow bath amenities. Fine touches like vintage-inspired art, and plush bedding provide an exceptional mix of comfort and sophistication. Indulge in ocean views of the Atlantic surf and easy coastal style in this king bedroom retreat. 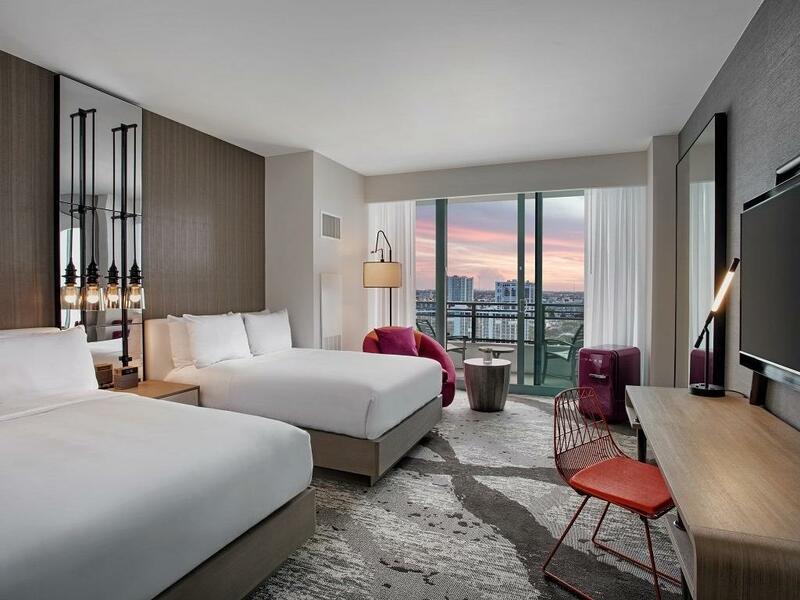 The king bed room is appointed with a gracious lounge area, a 55" HDTV with Google Chromecast and work space. A relaxing bath with a deep-soaking tub allows you to bask in the sunset, but also offering a separate glass enclosed shower accessorized with C.O. Bigelow bath amenities. Fine touches like vintage-inspired art, and plush bedding provide an exceptional mix of comfort and sophistication. 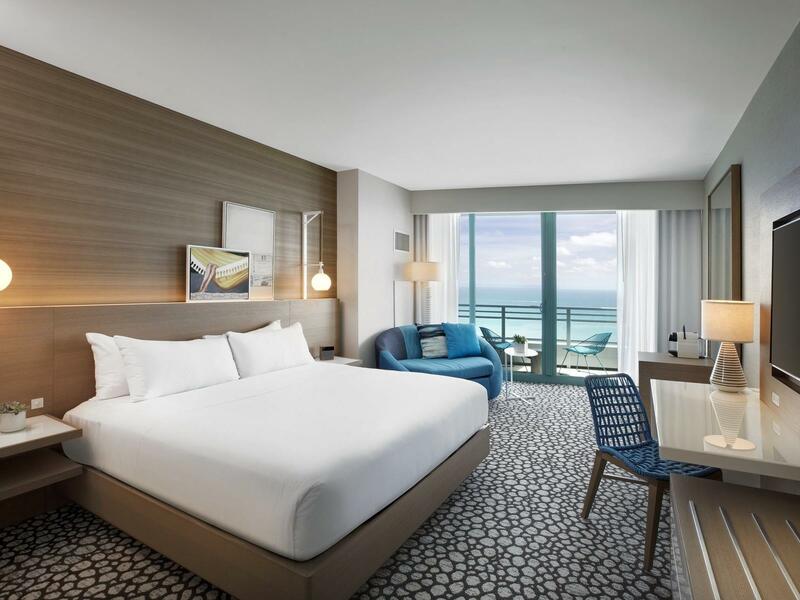 With stunning oceanfront views and a private balcony, this spacious king bedroom features a gracious lounge area, a 55" HDTV with Google Chromecast and work space. A relaxing tub allows you to soak in the sunset, but also offering a separate glass enclosed shower accessorized with C.O. Bigelow bath amenities. Fine touches like vintage-inspired art, and plush bedding provide an exceptional mix of comfort and sophistication. 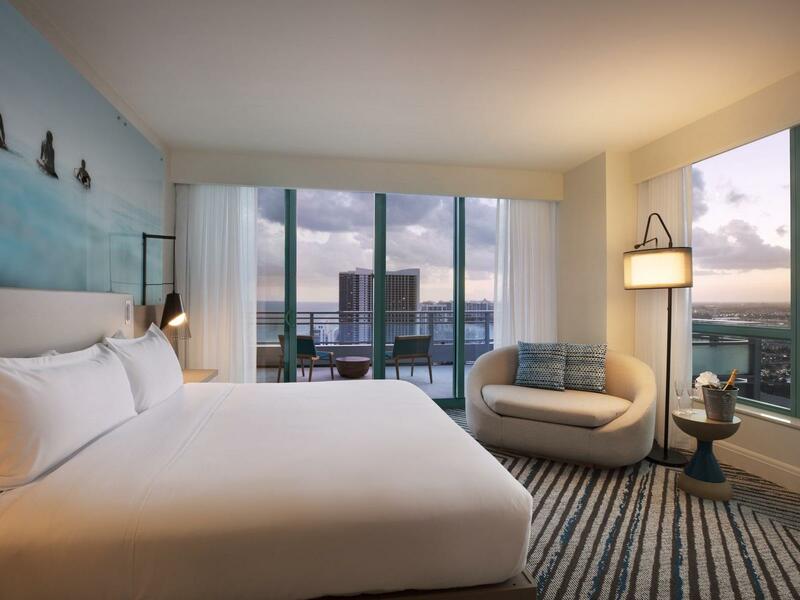 With magnificent oceanfront views, this spacious two double bed retreat brings panoramas views of ocean and sky during your stay. This room is appointed with a gracious lounge area, a 55" HDTV with Google Chromecast and a work space. A relaxing bath with a deep-soaking tub allows you to bask in the sunset, but also offering a separate glass enclosed shower accessorized with C.O. Bigelow bath amenities. 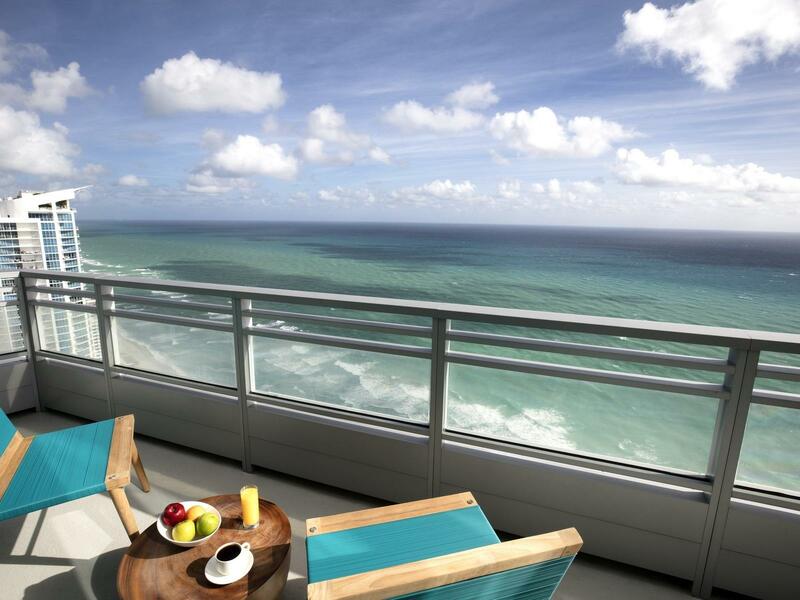 This beach-luxe 2550 square foot suite allows for comfort and luxury with a spectacular ocean views. 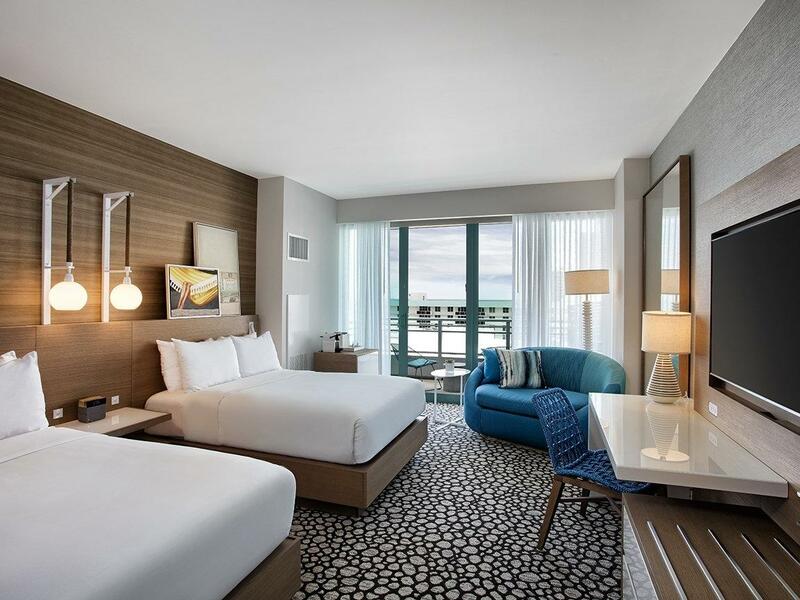 Featuring a sophisticated palette of coastal colors, this exceptional room includes a spacious living room, an entertainment wall featuring 60" HDTV with Google Chromecast , a dining table set for six, a welcoming workspace, and a study where a pull-out sofa plushly beds family or friends. 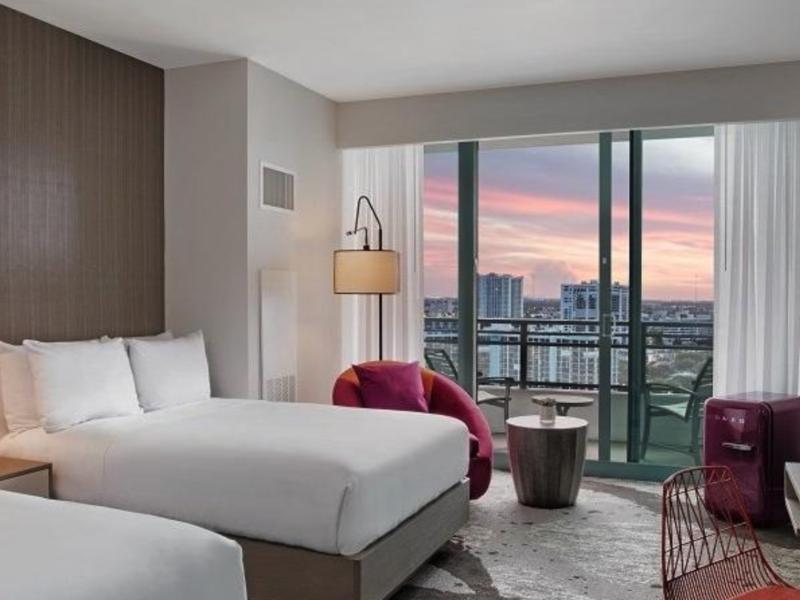 The private king size bedroom includes a secluded outdoor space to bask in the warm FL sun. 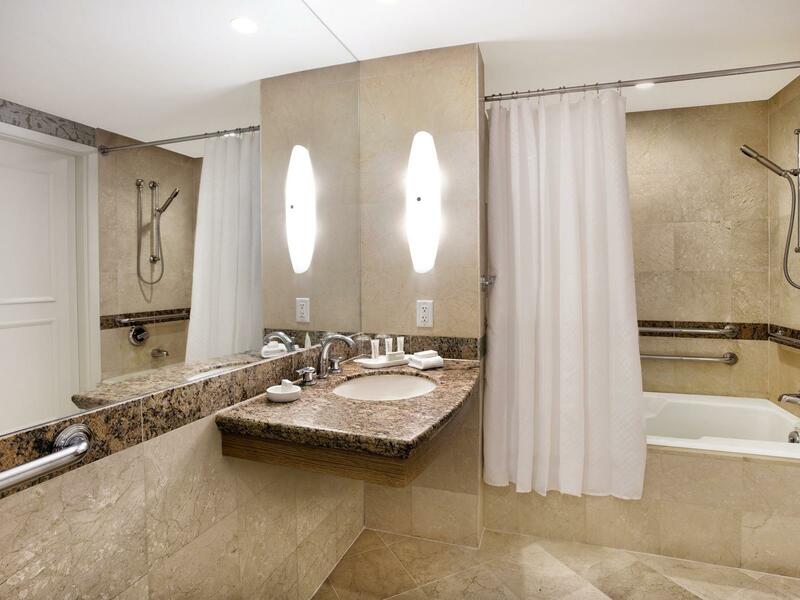 En suite, the bath includes a separate glass-enclosed shower plus a deep-soaking tub and just right touches like luxe robes, and C.O. Bigelow bath amenities. The second bedroom encompasses, a full bath, a powder room, and a beautiful view. This king-sized bedroom offers mobility and hearing accessible room features, visual alarm and notification devices for the doorbell or door knock and a 55" HDTV with Google Chromecast . Magnificent oversized windows offer stunning city and partial ocean views. 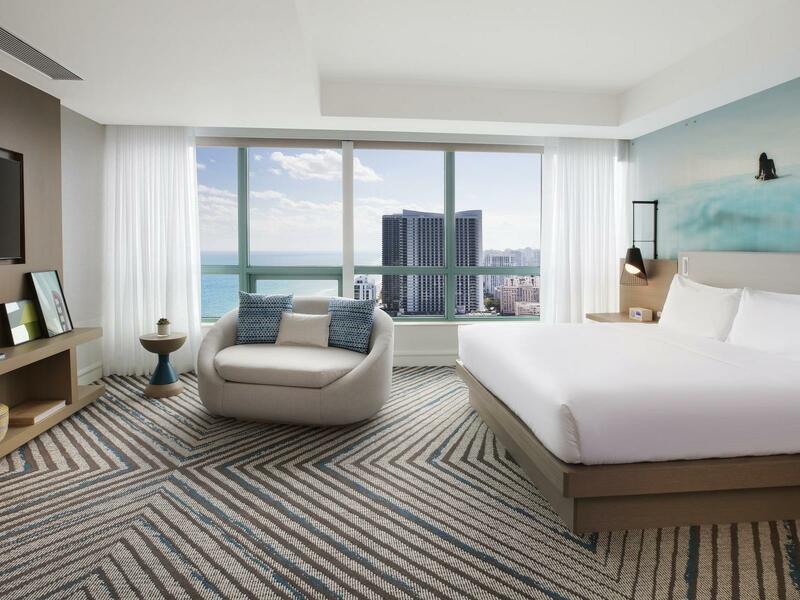 This room exudes a fresh and airy vibe bringing the beach and relaxed ambience to its guest. 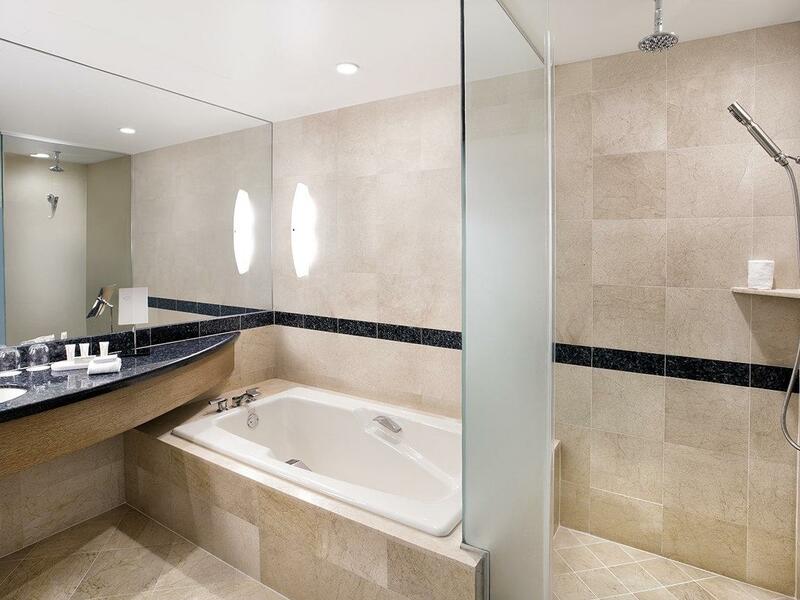 A relaxing bath with a deep-soaking tub allows you to take in the city views and offers a separate glass enclosed shower accessorized with C.O. Bigelow bath amenities. This king-sized bedroom offers mobility and hearing accessible room features, visual alarm and notification devices for the doorbell or door knock and a 55" HDTV with Google Chromecast . 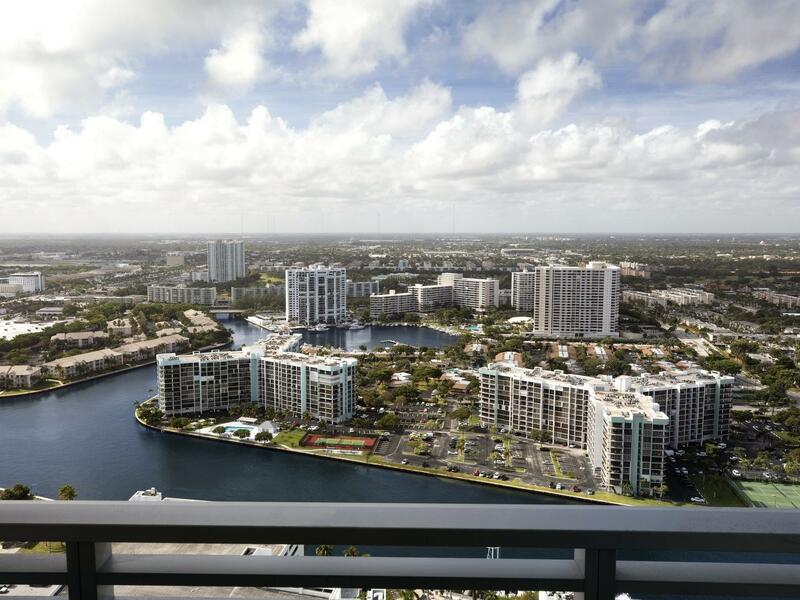 Magnificent oversized windows offer stunning city views overlooking the intracoastal waterway. 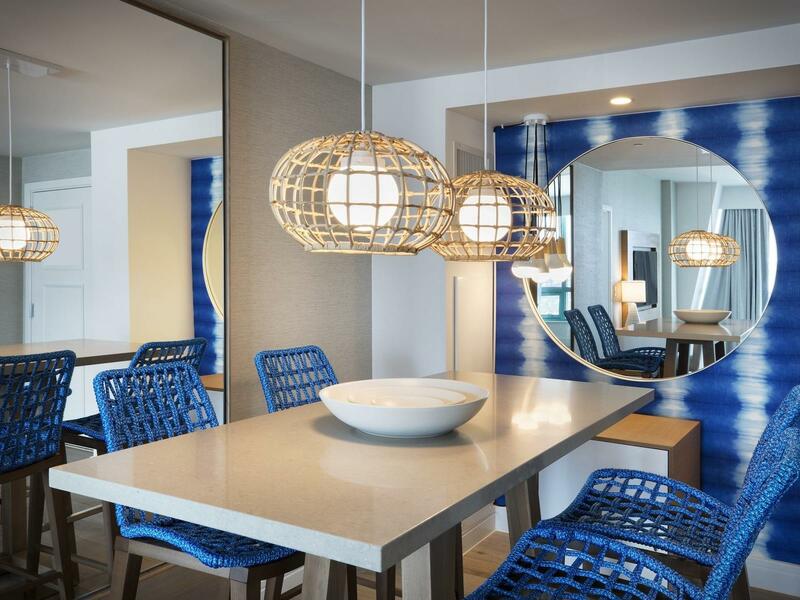 This room exudes a fresh and airy vibe bringing the beach and relaxed ambience to its guest. 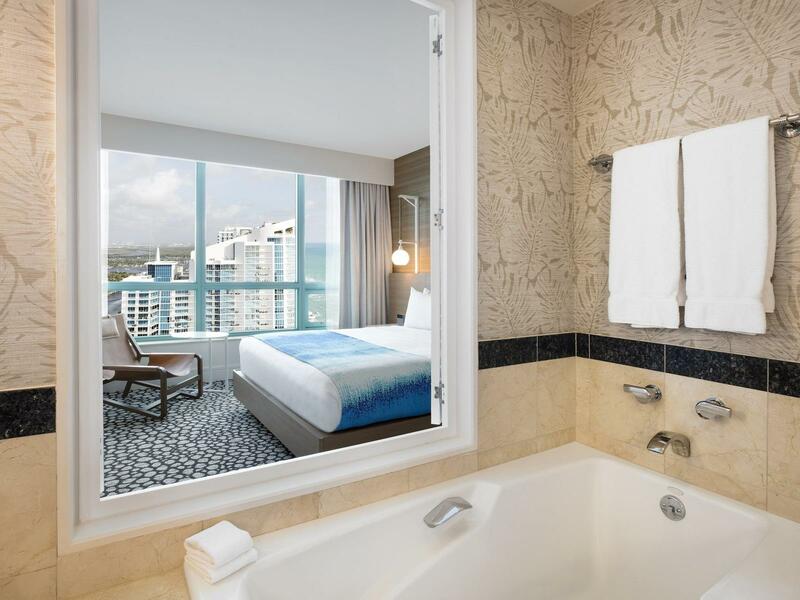 A relaxing bath with a deep-soaking tub allows you to take in the city views and offers a separate glass enclosed shower accessorized with C.O. Bigelow bath amenities. This two double beds room offers mobility and hearing accessible room features, visual alarm and notification devices for the doorbell or door knock and a 55" HDTV with Google Chromecast . 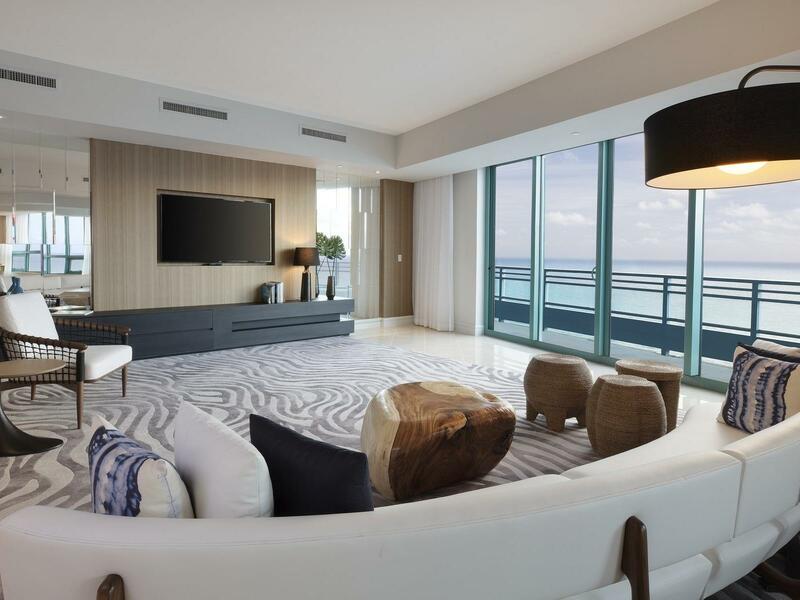 Magnificent oversized windows offer stunning ocean views overlooking the intracoastal waterway. 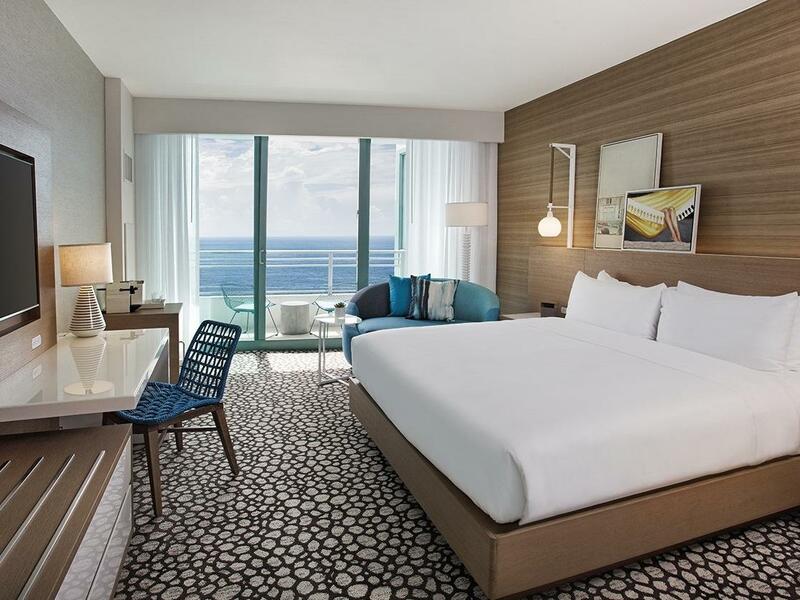 This room exudes a fresh and airy vibe bringing the beach and relaxed ambience to its guest. A relaxing bath with a deep-soaking tub allows you to take in the city views and offers a separate glass enclosed shower accessorized with C.O. Bigelow bath amenities. 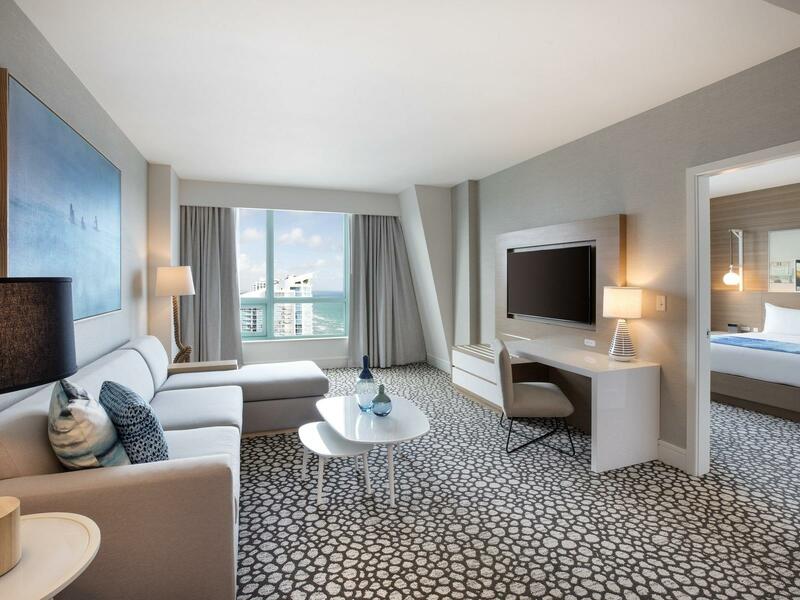 This generous one king bedroom suite is beach-luxe at its finest with magnificent floor-to-ceiling panoramic views over the Intracoastal and city to sky views. 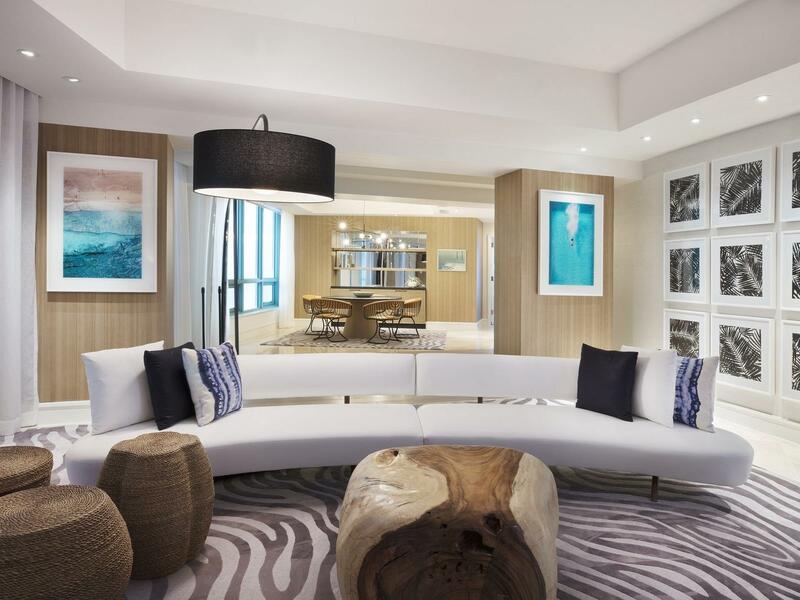 This suite provides custom furnishings in its living lounge with sleeper sofa, underscoring a tropical modern tone that extends to separate dining and bedroom spaces. 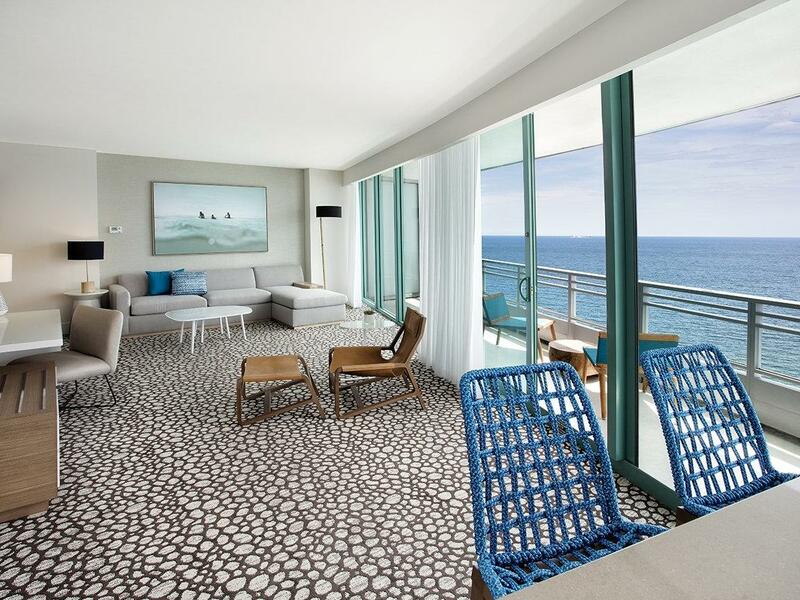 This beach-luxe 1500 square foot suite allows for comfort and luxury with a city view. Featuring a sophisticated palette of coastal colors, this exceptional room includes a spacious living room, an entertainment wall featuring 60" HDTV with Google Chromecast , a dining table set for six, a welcoming workspace, and a study where a plushly pull-out sofa beds family or friends. 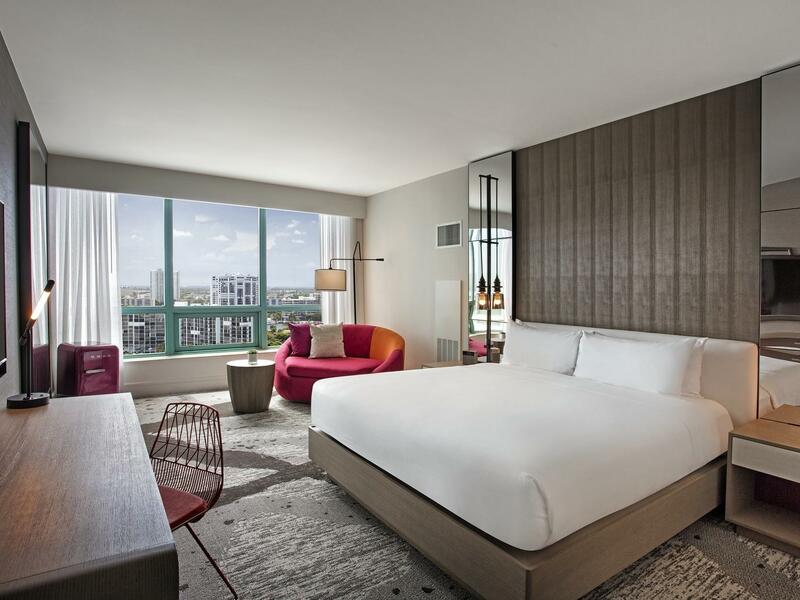 The private king size bedroom includes a secluded outdoor space to bask in the warm FL sun. 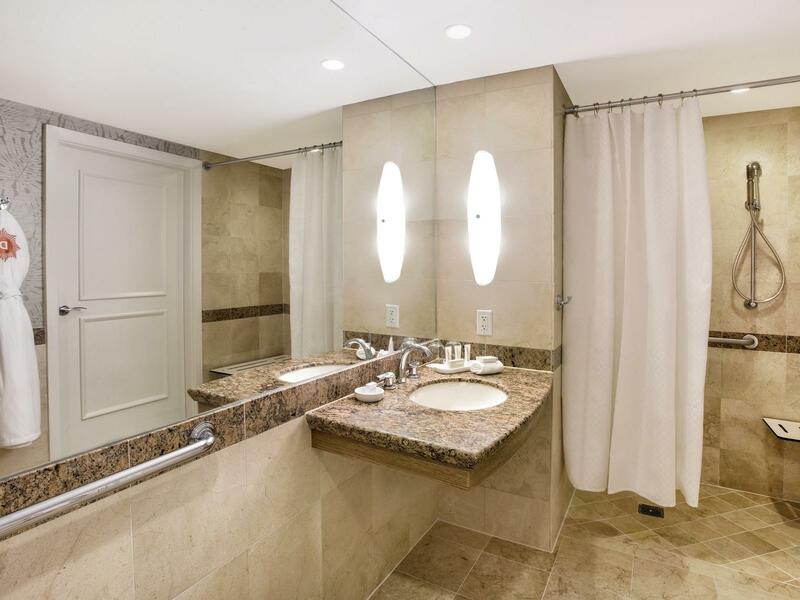 En suite, the bath includes a separate glass-enclosed shower plus a deep-soaking tub and just right touches like luxe robes, and C.O. Bigelow bath amenities. This two double beds room offers mobility and hearing accessible room features, visual alarm and notification devices for the doorbell or door knock and a 55" HDTV with Google Chromecast . 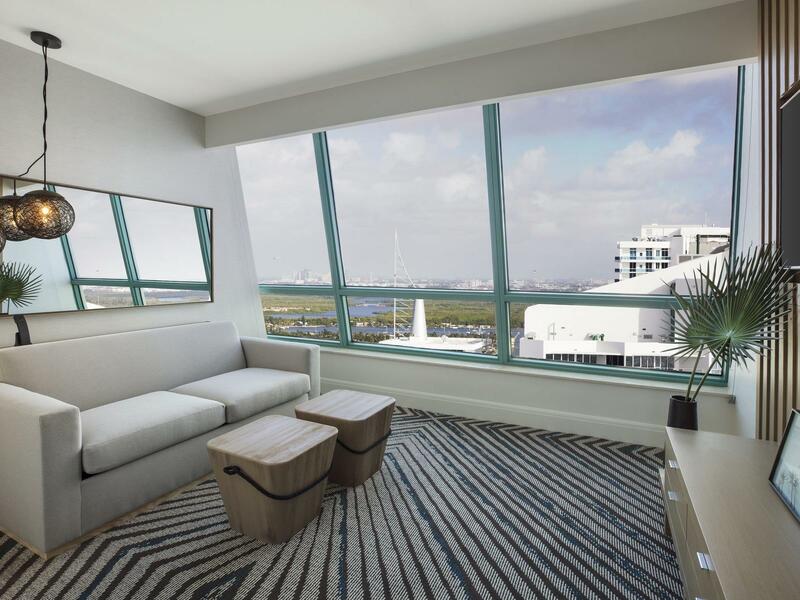 Magnificent oversized windows offer stunning ocean views overlooking the intracoastal waterway. 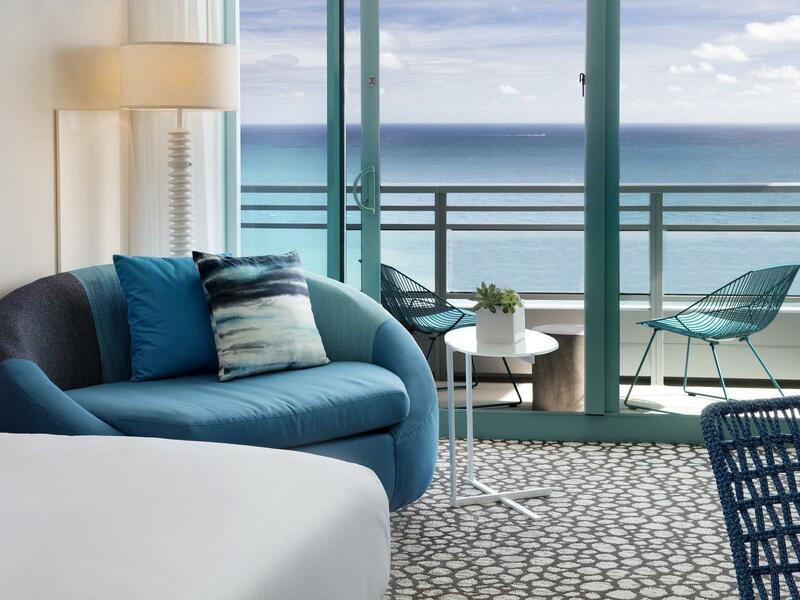 This room exudes a fresh and airy vibe bringing the beach and relaxed ambience to its guest. 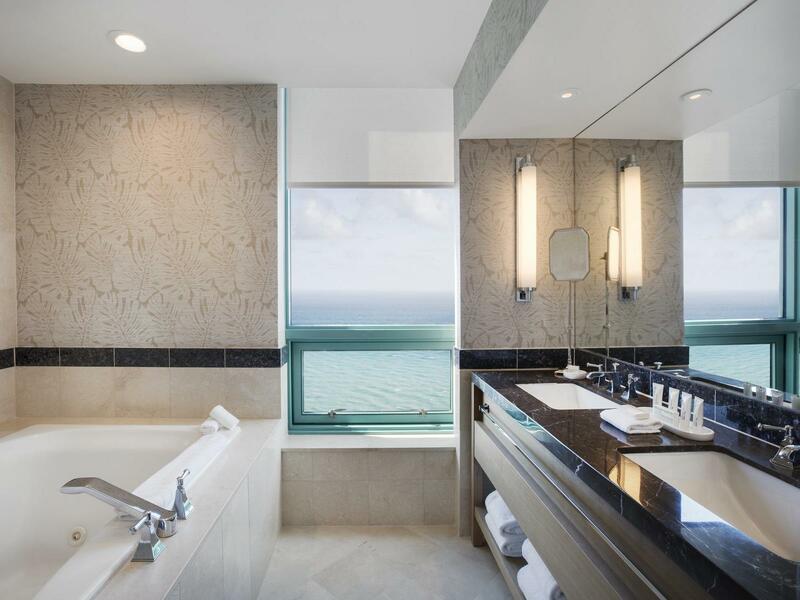 A relaxing bath with a deep-soaking tub allows you to take in the oceanfront views and offers a separate glass enclosed shower accessorized with C.O. Bigelow bath amenities. 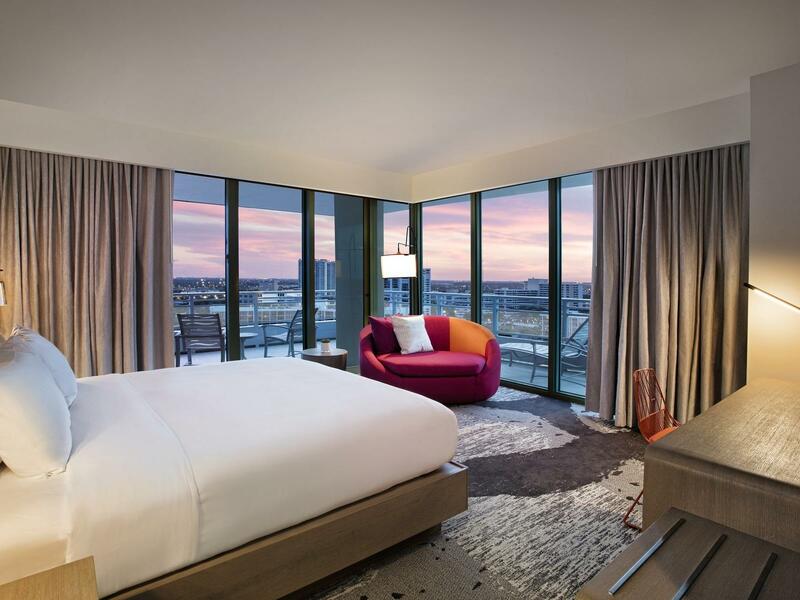 This spacious two double beds room with city views and private balcony, is the ultimate retreat with a gracious lounge area, a 55" HDTV with Google Chromecast and a work space. A relaxing tub allows you to bask in the sunset, but also offering a separate glass enclosed shower accessorized with C.O. Bigelow bath amenities. Fine touches like vintage-inspired art, and plush bedding provide an exceptional mix of comfort and sophistication. 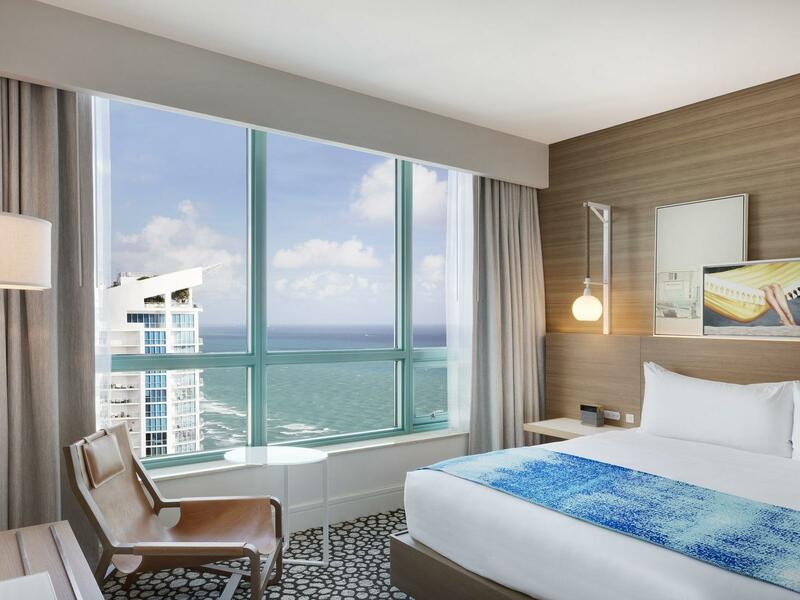 With magnificent oceanfront views, this spacious two double bed retreat brings panorama views of ocean and sky during your stay. 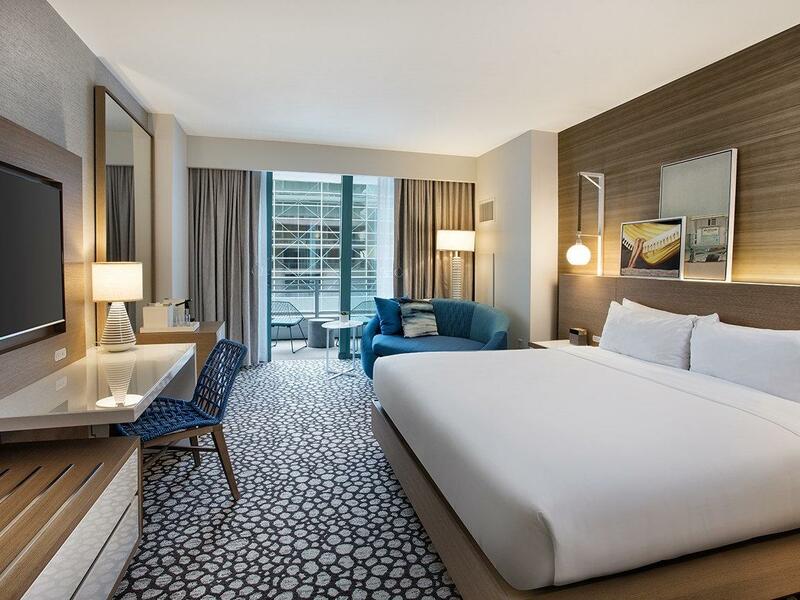 This room is appointed with a gracious lounge area, a 55" HDTV with Google Chromecast and work space. A generous bath with a deep-soaking tub allows you to bask in the sunset, but also offering a separate glass enclosed shower accessorized with C.O. Bigelow bath amenities. 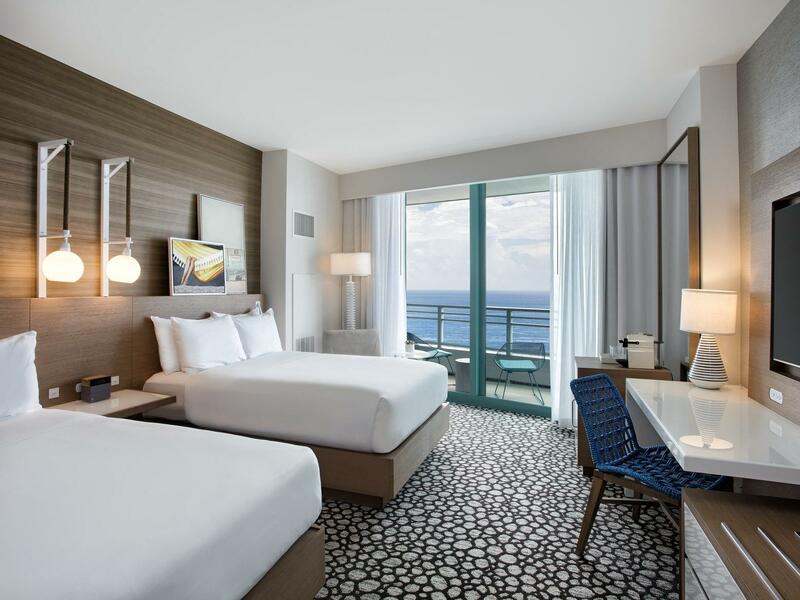 With stunning oceanfront views and a private balcony, this spacious double bed room features a gracious lounge area, a 55" HDTV with Google Chromecast and work space. A relaxing tub allows you to bask in the sunset, but also offering a separate glass enclosed shower accessorized with C.O. Bigelow bath amenities. Fine touches like vintage-inspired art, and plush bedding provide an exceptional mix of comfort and sophistication. This two double beds room offers mobility and hearing accessible room features, visual alarm and notification devices for the doorbell or door knock and a 55" HDTV with Google Chromecast . 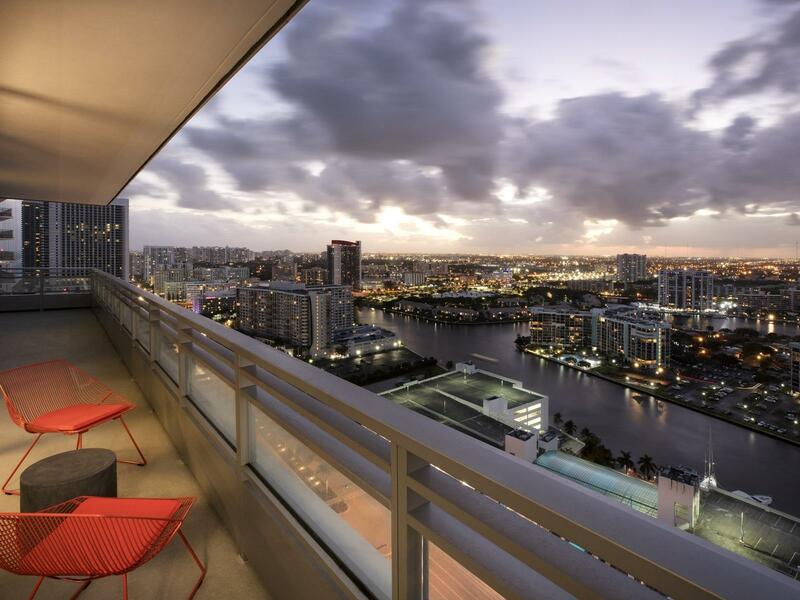 Magnificent oversized windows offer stunning city views overlooking the intracoastal waterway. This room exudes a fresh and airy vibe bringing the beach and relaxed ambience to its guest. A relaxing bath with a deep-soaking tub allows you to take in the city views and offers a separate glass enclosed shower accessorized with C.O. Bigelow bath amenities. Indulge in city views with partial views of the Atlantic surf and airy feeling of coastal style in this two double bed retreat. This bedroom is appointed with a gracious lounge area, a 55" HDTV with Google Chromecast and work space. A relaxing bath with a deep-soaking tub allows you to bask in the sunset, but also offering a separate glass enclosed shower accessorized with C.O. Bigelow bath amenities. Fine touches like vintage-inspired art, and plush bedding provide an exceptional mix of comfort and sophistication.